The villas at Manzanillo Grove. Picture: Mike Dugdale. They’re hands on at Manzanillo Grove. They have to be. 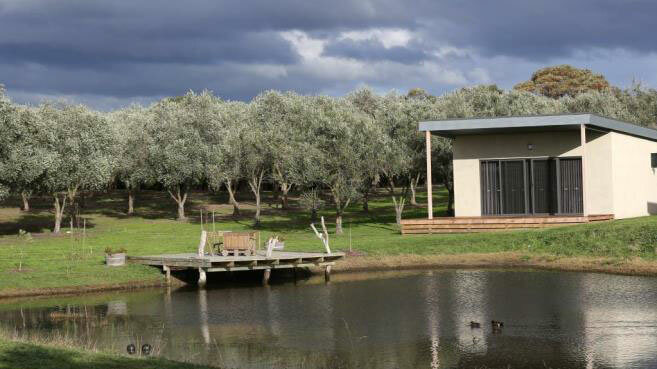 Renate and Len Kint’s fingerprints are over every inch of the business they built from the olive orchard they planted on their beautiful 18ha Drysdale property. A good example of business viability through diversification. On the QT … got muddy oil? In the lead up to the competition season the focus is increasingly on oil quality – and the faults which may reduce it. Australian International Olive Awards (AIOA) Head Judge Shane Cummins ranks the three main faults found in Australian oils as rancid, frosted and muddy, so the Tastebook team have decided to add “a quiet look at frosted and muddy” to the Tastebook Round 4 program. To do that, Shane needs eight litres of muddy oil. So what is “muddy”? A result of bad storage, muddy is “the characteristic flavour of oil obtained from olives piled or stored in such conditions as to have undergone an advanced stage of anaerobic fermentation, or of oil which has been left in contact with the sediment that settles in tanks and vats and which has also undergone a process of anaerobic fermentation”. The sensory descriptors are blue cheese, salami, baby's vomit - sour/off milk and barn yard. Hopefully no one has any but if you do, please ring Shane on 0421910474. Your input will be much appreciated – and completely confidential. Lemon olive oil cake (Peter Kuruvita's Coastal Kitchen). 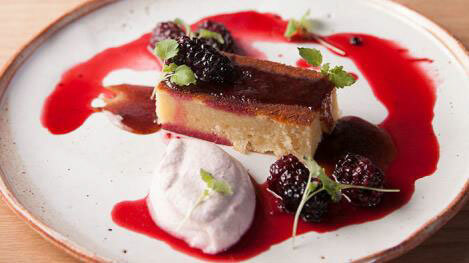 From zesty cake to creamy custards and ice-cream, here are the sensational desserts that tap into olive oil's sweet side. The descriptors for these recipes really highlight the flavor nuances of olive oil. Great stuff! There are just a few days left to participate in the national Industry Pest & Disease Management (IPDM) Survey. This industry initiative is an integral element of the levy-funded R&D industry IPDM project, providing information that will guide the scope and activities of the project, including the upcoming national IPDM Field Day program, commencing in July. Taking part is quick (17 mins average), the questions are straightforward and easy to answer, and all responses remain anonymous, so please click and add your input now. Thanks to all those who have already responded, and if you haven’t, please use the coming weekend to c lick through and complete the survey . National IPDM Field Days: Round 1, NSW – book your place now! Numbers are limited to 40 per event, so reserve your place now. The program will continue with events in WA in September; QLD, VIC and SA in November; and TAS in December – more information and register here . The Horticultural Innovation Fund offers up to $50K for applied R&D projects that contribute to a more productive and profitable horticulture sector. Preference will be given to projects with some Victorian involvement. Deadline for applications is 30 June. More information here. The WA Department of Primary Industries and Regional Development has announced a new program to help premium food and beverage producers reach their full potential. The ‘Expert for a Day’ program is designed to give eligible businesses a kick-start to overcome barriers to growth and realise new market opportunities. More information here. News Corp SA is offering up to $100,000 in marketing services to small businesses in SA with 50 or less FTE employees, through its $Million Business Booster competition. Winners of each of five size categories will be randomly selected to receive: major prize - $100,000 in marketing value including print and website advertising and other services; minor prize - $50,000 in marketing value including print and website advertising. Entries close 8 July – more information and enter here. Olives NZ EO Gayle Sheridan has reported on an excellent harvest at the Olives NZ Focus Groves across the country – e.g. Leafyridge in the Wairarapa has averaged 34kg of Frantoio per tree with a 15.5% oil yield. The fruit has also come off cleanly and with little leaf or twigs. That’s a welcome turnaround from the pre-project results, and just part of the all-round success story that is the Olives New Zealand Focus Grove Project. 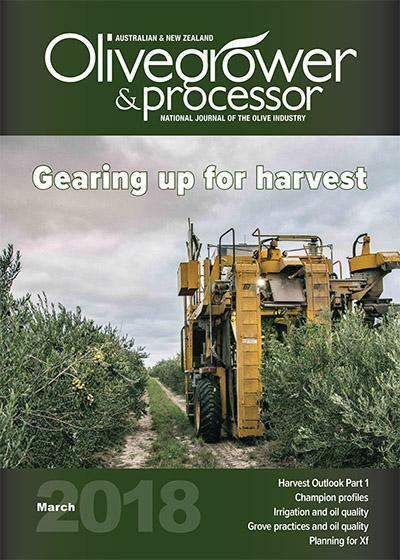 You can read more about the project, including an in-depth look at the grove results to date, in the June edition of Olivegrower & Processor – and if you’re not already a subscriber, jump online and join up here. David Walshaw who moved from the world of finance to be an olive grower and maker. David Walshaw only fell in love with olive oil after he started making it. 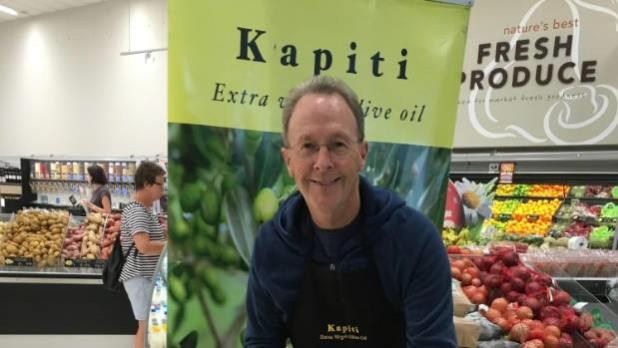 He's happy to admit that and it doesn't undermine his Kapiti Olive Oil's story because winning people over to the charms of good Kiwi olive oil is still a big part of the business. Olives NZ has announced to additional members for the 2018 NZ EVOO Awards judging panel. Hailing from Israel, Adva Webber will be judging Flavoured Oils and will join the panel for Best in Class and other major awards. Greig Buckley, owner of online food shopping venture “Kai” and member of the Food Writers Guild, will also judge the Flavoured Oils panel. Read more about Adva and Greig here. As part of a far-reaching agro-economic plan, the Andalusian government renews its commitment to furthering the interests of its olive farmers in both established and emerging international markets. The European Consumer Organisation (BEUC) has called for the European Union to toughen up rules governing food labelling in order to stamp out what it described as the “misleading tricks” used by food makers to “sugar-coat” the quality of their products. One of the olives that was adopted in Oliete, Spain.|Photo Credit: El Pais. There are few things worse than being neglected into oblivion. The olive trees of Oliete, a village in Teruel, Spain, were disappearing for this very reason. 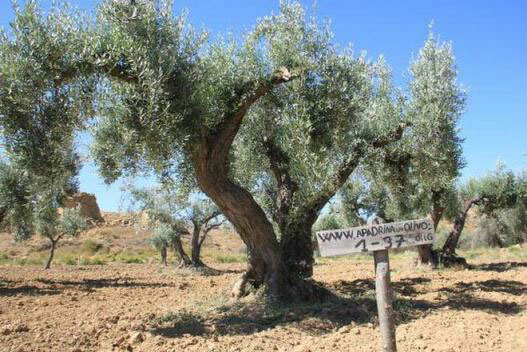 The Apadrina un Olivo (Adopt an Olive Tree) program combines social, economic and environmental rejuvenation via care of the region’s olive trees. You can find out more, and be a part of the initiative, here. After a precipitous fall, olive oil prices have crept back up in Spain. However, producers are divided on whether this trend will continue. Individuals at high cardiovascular risk who are assigned to a Mediterranean diet supplemented with extra-virgin olive oil or nuts have reduced incidence of major cardiovascular events compared with those assigned to a reduced-fat diet, according to a study published online June 13 in the New England Journal of Medicine.